For six years I lived at the base of a 14,000 foot mountain, for the next nine years of my life I lived within sight of that same mountain. It’s made an impression on me, and many others. 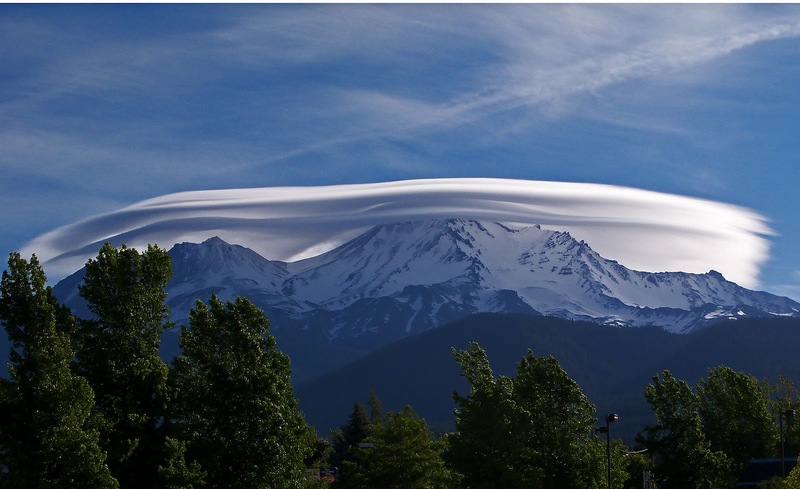 There’s a sense of sacredness to Mount Shasta, especially when it’s enshrouded by lenticular clouds. As we come to Transfiguration Sunday, I can’t help but think of Mount Shasta, and the vision it offers of God’s sacred presence. To enter the cloud would be to enter a sacred space or what some call a thin place. The story of the Transfiguration is told in each of the three Synoptic Gospels, as well as 2 Peter 1:16-18. On the day of Transfiguration, Jesus goes up on the mountain, together with Peter, James, and John, and in the words of 2 Peter, “he received honor and glory from God the Father when that voice was conveyed to him by the Majestic Glory, saying, “This is my Son, my Beloved, with whom I am well pleased.” On the mountain of Transfiguration Jesus is enshrouded by a cloud, hears the voice of God, and his countenance changes. It is a moment of revelation, when the purposes of God are revealed. Something akin to the Transfiguration occurs when Moses climbs the mountain in Sinai, together with his companion Joshua. He goes to the mountain to meet God who had invited Moses to come and receive the Tablets of the Law, written on stone for their instruction. Moses doesn’t go of his own volition, but at the invitation of God. That is, he doesn’t go as a religious seeker, but as one called of God for a purpose. As any good leader would do, he leaves behind instructions with trusted leaders, including his brother Aaron. 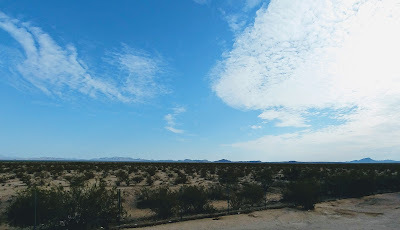 When he climbs the mountain, “the glory of the Lord settled on Mount Sinai.” This “glory of the Lord”—the kābōd of Yahweh—comes in the form of a cloud. According to the text, this glory appeared is if the top of the mountain was on fire. At least that’s how it appeared to the people below. While Joshua went up the mountain, only Moses entered the Glory of God. Moses and Joshua spent six days waiting on the mountain for God to make the next move. Finally, on the seventh day, the Sabbath day, God invites Moses to enter the cloud. In all, Moses spends forty days and forty nights on the mountain, which will cause some consternation down below. After all, it appears as if the mountain is on fire. Moses hasn’t returned. So perhaps something untoward has happened. What will the people do? Ultimately, Aaron responds to their concerns by creating the golden calf, an idol that can serve as a god for them in the absence of Moses (Exodus 32:1-6). Even as the people down below became impatient and worried that their leader was dead, Moses finds himself enshrouded by the presence of God, what later Judaism referred to as the shekinah. It is a life-changing experience. Indeed, it is a transfiguring experience. The Greek word we translate as transfiguration is metamorphosis. Such is what occurred to Moses, whose countenance changed, even as it did for Jesus. It was a life-changing experience, though as Paul suggests, in time that brightness faded, though Moses didn’t want to admit it (2 Cor. 3:7-11). This time with God served as the opportunity for God to instruct Moses, so that he could instruct the people. In the chapters that follow this reading, God reveals to Moses a number of things, including instructions for the creation of the Tabernacle and its furnishings, along with instructions for the priesthood and for worship. When the conversation ends, God gives Moses the two tablets of stone, upon which were written the covenant stipulations—the Ten Commandments (Exodus 31:18). When Moses finally descends from the mountain he discovers that the people have rebelled and forced Aaron, his brother and the chief priest of the people, to create a golden calf to serve as a symbol of God. The lectionary doesn’t invite us to explore the entire story, just the piece that parallels the New Testament accounts of the Transfiguration. You can see the similarities. The two events serve similar purposes. They reveal God’s call on Moses and Jesus, as well as offering a word to the people. Moses will receive the Law, which will help form the people. At the core of Christian faith is an overpowering unutterable disclosure that gives access to the awesome holiness and moves in the direction of contemplation, wonderment, and grateful awe. Conventional Protestantism, with tis moral passion, has been reluctant to probe or consider these matters, being frightened of anything that smacks of mysticism. No doubt such an accent is just now problematic, given the rage of gnostic spirituality. But neglect of this dimension of faith may be equally hazardous. The vision provides the legitimation and energy for Moses and for all who draw life from this vision. [Brueggemann, “Exodus,” NIB, 1:883]. It is interesting that this encounter with the living God who comes to Moses in the cloud is contrasted with the embrace by the people of the mute idol, which Aaron created using the gold given by the people. What lesson might this offer us in this age of consumer religion. Will we embrace the God who speaks in the midst of the cloud or the golden calf made with human hands?